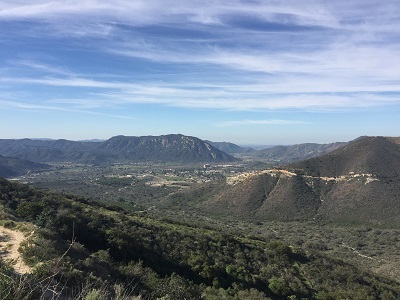 The Pala Chief Mine is located in beautiful Pala, San Diego County, California. 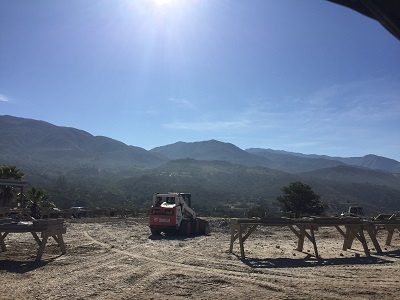 Nestled in the hills, you have an opportunity to go through the old mine dumps, work on exposed pegmatite veins, or just have fun getting dirty crawling around searching for the flash of tourmaline crystal color on the ground. Digging crystals at the Pala Chief mine is a pretty laid back experience. I contribute this to the “chill” vibe of the area as there is a ton of Lepidolite (high Lithium content) around the mine. 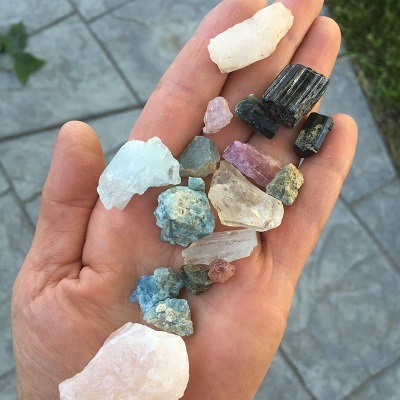 A rainbow assortment of tourmalines (pink, black, blue, green, and watermelon), and a hand full of other specimens such as garnets, mica, quartz crystals, lepidolite, muscovite, morganite, aquamarine, and kunzite. The Pala Chief mine is off of a dirt road. 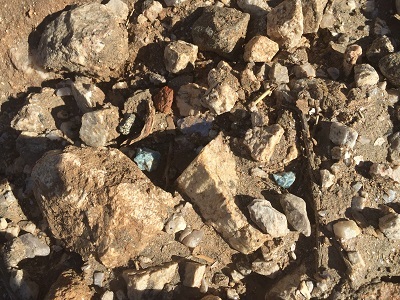 On a fee basis, the mine offers screening for gems or bring your own digging equipment and "have at it" on exposed pegmatite veins and collecting on the hills. There are some bathroom facilities, a store with cool t-shirts, beautiful tourmaline jewelry, and crystal specimens. Really awesome friendly, fun people run the Pala Chief Mine. I had a fab-u-lous day, got plenty dirty, and found all sorts of crystal goodies. Some crystal digging suggestions: You'll be walking your buckets up and down some wide switchback paths. Note to self the buckets are always heavier on the way up. Who needs a gym when you can go crystal digging!?! 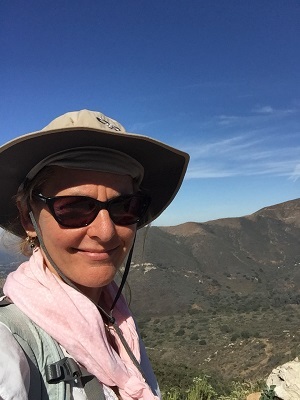 You are collecting specimens on the side of the hills - there are practically no shady spots, so please remember to bring a hat and sunscreen for your protection. Don't forget to hydrate ~ Bring and drink lots of water. Bug spray is highly recommended as those little gnats buzzing around can be super annoying. 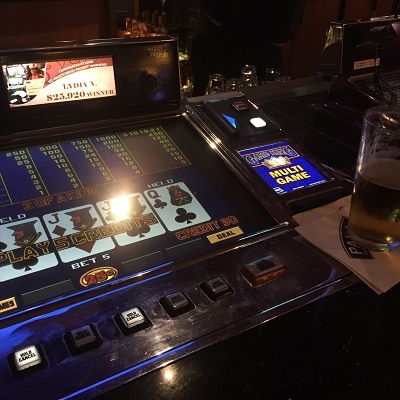 When you get done digging, if you are so inclined, you can mosey on down the road for a wash, a beverage, and some gambling action at the Pala Casino.